Take route 390 north to the Lake Ontario State Parkway. Travel west on the parkway to the 2nd exit for East Mantou Road/Braddock Bay Park. Turn right onto East Manitou Road. 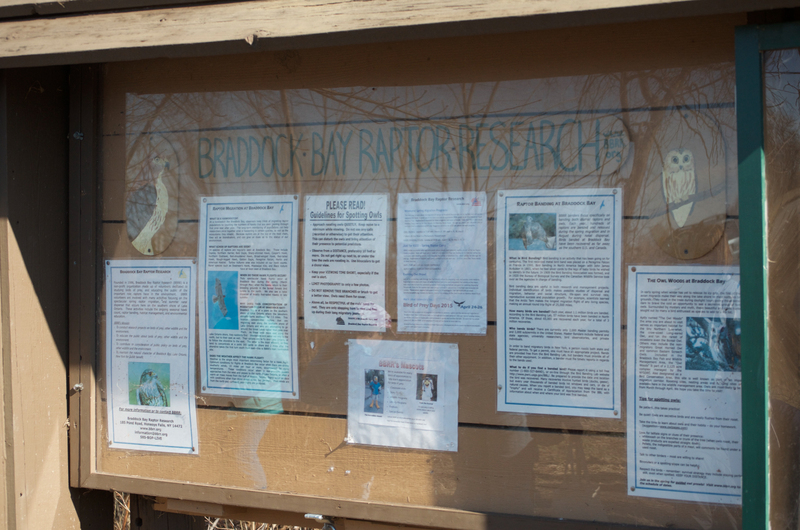 The entrance to Braddock Bay Park is the first left after turning onto East Manitou Road. When you come to a “T” in the road, turn right and follow the park road. 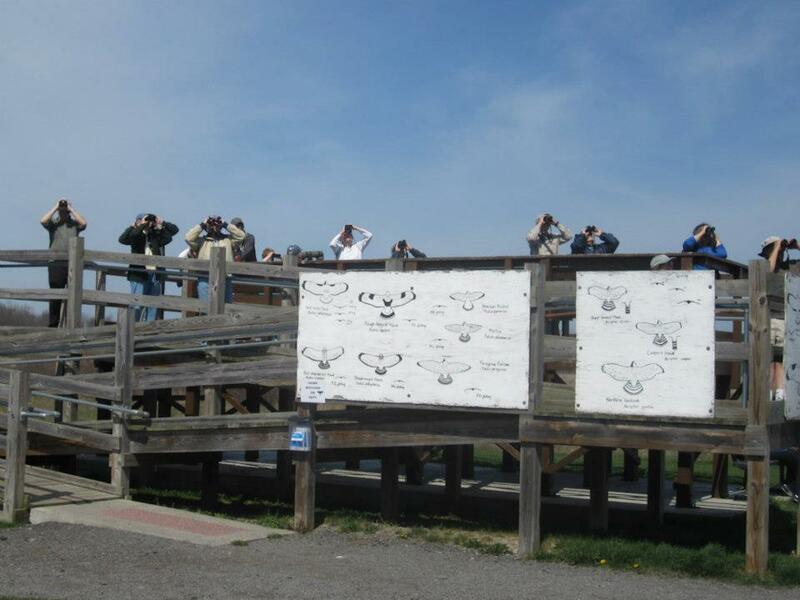 The hawk watch platform is ahead on the left. Take the Lake Ontario State Parkway east until the East Manitou Road/Braddock Bay Park exit. Turn left onto East Manitou Road, cross over the parkway and follow the rest of the directions above. Take the Lake Ontario State Parkway west until the East Manitou Road/Braddock Bay Park exit. Turn right onto East Manitou Road, and follow the rest of the directions above. Take route 390 north to the Lake Ontario State Parkway. Travel west on the parkway to the 3rd exit for Manitou Beach Road. Turn right onto Manitou Beach Road. Immediately on your right you will see a small parking lot (park here). The trail head for the Owl Woods and path to Main Banding Station is across the road from this parking lot. Take the Lake Ontario State Parkway east until the Manitou Beach Road exit. Turn left onto Manitou Beach Road, cross over the parkway and follow the rest of the directions above. Take the Lake Ontario State Parkway west until the Manitou Beach Road exit. Turn right onto Manitou Beach Road, and follow the rest of the directions above. Instructions for visiting the Main Banding Station: This is where a large amount of our banding research occurs and is the only blind open to the public. We invite people to stop in whenever there is a bander in the blind. Please read the sign at the walkway to the blind before approaching. In short, we ask that when you are near the blind you are as quiet as possible. If you should wish to approach the blind, please shout “CLEAR!” and wait for a response. 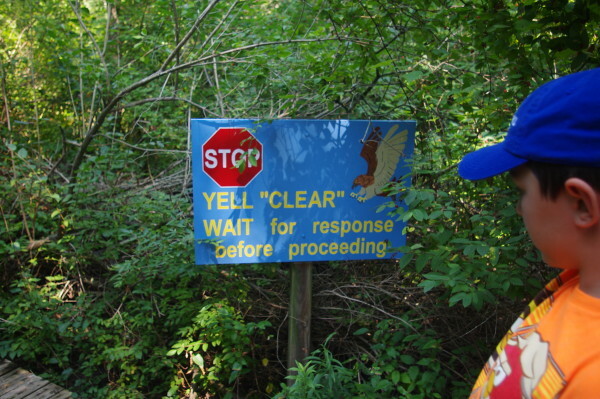 If there is no response, this means there is a raptor in the immediate area. Please wait until someone opens the door or you hear someone inside reply back with “Clear!” before approaching the blind. Sudden movements or noises during this time period may lead to an injury to the bird as it approaches one of the traps. If the bird is distracted from its prey, it may pull up suddenly, causing the trap to hit the bird rather than cover it. Obviously this is something we strive to avoid. We appreciate your cooperation in this matter.